We generally think that autosomal DNA (atDNA) is only reliable in evaluating matches back 3 to 5 generations. However, like with most things that have a random distribution, random really does mean random. 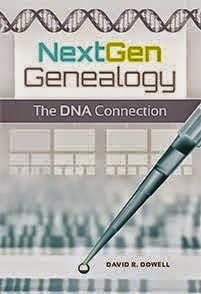 I have recently started working with my almost eight year old grandson to document the segments of his atDNA that match various ancestors using DNA Painter. This grandson has taken a deep dive into art. His Christmas wish list this year included only two words, “ART SUPPLIES.” Jonny Perl’s new award winning software, DNA Painter, is very graphically oriented and I was hoping it would capture the interest of this grandson. The first time we sat down to add segment matches to his skeleton genome, he asked me how long this was going to take. I told him it was going to take the rest of his life. I thought that might put him off; but the next time he came over for a visit he wanted to work on it some more. We recently discovered a matching segment that stretched the limits of what we expected from atDNA. My grandson matched 3 women in the same area of chromosome 12. The Chromosome Browser tool at Family Finder (FTDNA) showed the shared segments. Further investigation revealed that the three were related. The woman represented by the green segment above (31.24 cM) was Simon's 3rd cousin -- 4 times removed. Her common ancestors with Simon were a couple born before the Revolution in Pennsylvania: John Hoar (1766-1840) and Sarah Pearson (1766-1830). These were Simon's 6th great-grandparents (7 generations back). The woman whose match with Simon was represented by the blue segment above (30.74 cM) was Simon's 4th cousin -- 3 times removed and the daughter of the previous match. The the third woman was the granddaughter of of the first woman and daughter of the second. Her relationship to Simon was as a 5th cousin -- 2 times removed. The atDNA she shares with Simon overlaps what he shared with her mother and grandmother. However, she did not inherit the entire segment intact from her mother. Instead she received two segments of 9 cM and 12.11 cM with a significant gap between them. One of Simon's two brothers also inherited the same pattern of atDNA matches with these three women. The other did not. Added support to the conclusion that my grandson's matches with these three distant cousins are the ones that contributed the segments of atDNA shown above can be found in my own results. I am two generations closer to them than are my grandsons. John and Hannah Hoar are my 4th great-grandparents. This puts us a little closer to the range within which we might expect to find legitimate atDNA matches. The three women are on paper related to me as: 3rd cousin -- twice removed; 4th cousin -- once removed; and 5th cousin. Maybe random inheritance really does mean RANDOM.